Head Set and Microphone, has old Larkspur 6 pin Audio Plug. Push to Talk Switch on the lead. 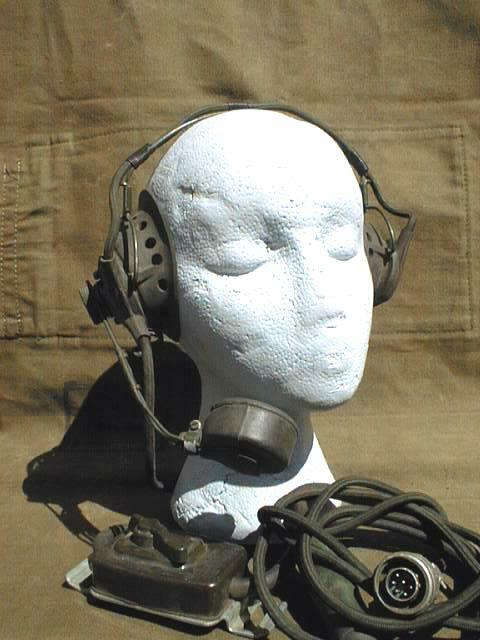 Used with British C11/R-210, C-13, C-42, C-45 radio stations, and other similar radios.